The Cassini Equinox Mission is a joint United States and European endeavor. The imaging team consists of scientists from the US, England, France, and Germany. The imaging operations center and team lead (Dr. C. Porco) are based at the Space Science Institute in Boulder, Colo. 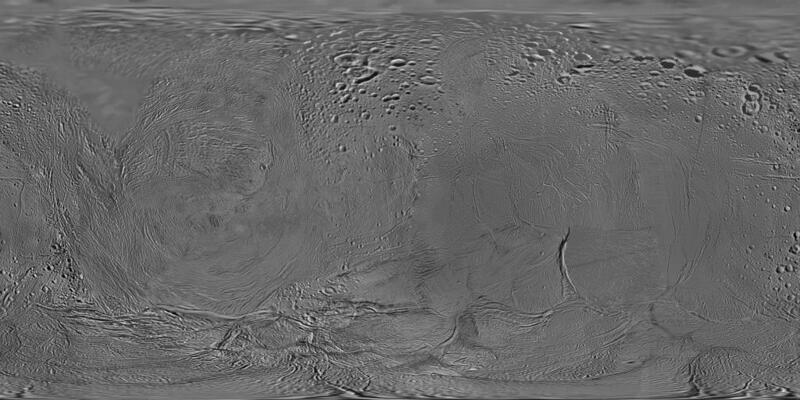 This mosaic incorporates images acquired during Cassini flybys of Enceladus and includes October and November 2009 imagery.